The removal of barriers to bank lending and borrower withdrawals foreign currencies are set to benefit enterprise in Laos after the Bank of the Lao PDR removed restrictions in this regard, according to an announcement from the central bank. The strategic process run for MMG’s Sepon copper-mine in Laos has culminated in the sale of the operation for US$275 million to a Chinese buyer. As the only landlocked country in Southeast Asia and one of the least developed ones in the region, Laos seems to have different priorities on growth that are driving it pile on even more debt. A new IP law will come into force in the Southeast Asian nation of Laos this weekend, introducing trademark opposition procedures to the country for the first time. The new law also stipulates the creation of a new digital platform for brand rights and expands the range of images eligible for trademark protection in the jurisdiction, among other things. 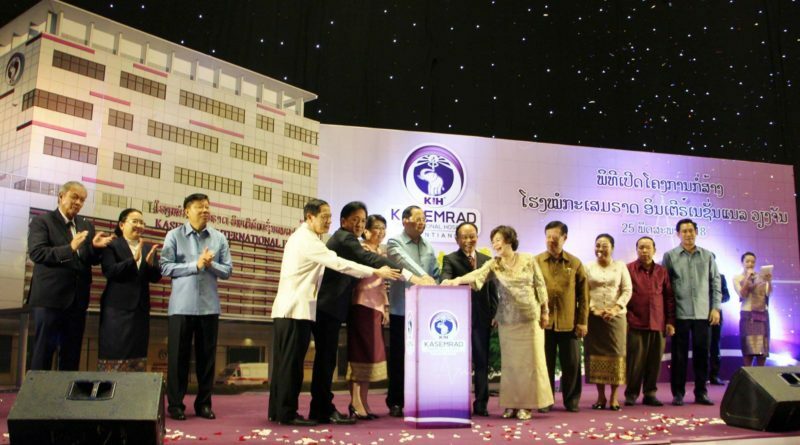 Lao economists have urged the government to accelerate the privatisation of state enterprises that have been underperforming, as part of measures to improve its financial position. The injection of bank credit into the Lao economy has been on the decline after reaching a peak over the past several years, according to economists. The Bank of the Lao PDR (BOL) is warning the public about illegal QR code payment services being offered by banks or financial institutions that have not been granted permission by the BOL. Laos is an ASEAN member country in the heart of the Indochinese region, which has economic potentials and is opening up itself for cooperation with other countries. The predicted economic slowdown in China, one of the top three foreign investors in Laos and an important trading partner, could affect the Lao economy, the government’s economic analysts have warned. The nation’s economic growth is likely to be sustained this year and accelerate next year, while inflation will edge up according to the Asian Development Bank (ADB). Landlocked by Myanmar, Cambodia, China, Thailand, and Vietnam, Laos is among the poorest economies of the world. Yet, in terms of gross domestic product (GDP), the economy continues to soar. Over the last decade, Laos has sustained an average growth rate of 7.8 percent, relatively higher than its neighboring countries. Many business people and ordinary savers still deposit money in foreign currencies despite increased efforts by the Bank of the Lao PDR to promote the use of the national currency, according to data from the central bank. Australia and New Zealand Banking Group said on Thursday it would close its retail products and services in Laos to focus on its institutional banking business in the Southeast Asian country. 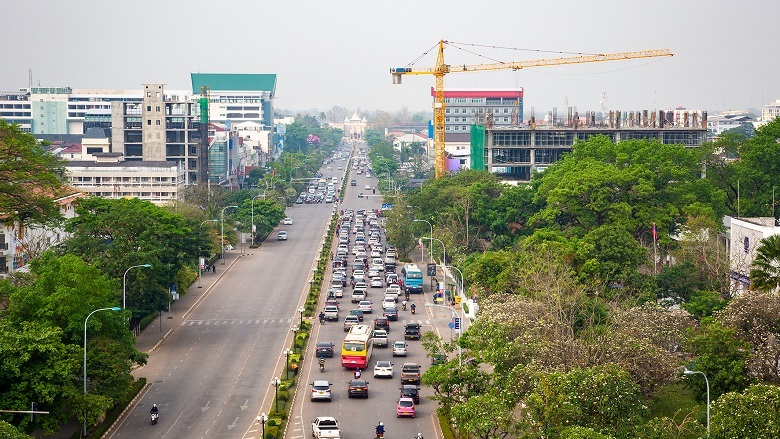 The Vientiane administration has vowed to improve the investment climate to attract more private investment and facilitate business operations as part of measures to achieve 10.5 percent economic growth. The government cabinet has ordered authorities in charge to speed up streamlining procedures to ease business operations and improve the investment climate. On November 7, 2017, the Lao Ministry of Industry and Commerce issued a formal notice, No.2633/MOIC, to all its offices across the country to fully recognize and abolish the capital requirement foreign owned general businesses. The Bank of the Lao PDR (BOL) will enhance bilateral banking cooperation with the central banks of China, Cambodia, Vietnam and Thailand to ensure better management of payments in foreign currencies at international checkpoints. 09/11/2017 09/11/2017 J&C Admin 1375 Views American Pacific Resources, Inc.
PHI Group, Inc., (www.phiglobal.com) (OTCQB:PHIL), a company focused on mergers and acquisitions and investments in natural resources, energy, agriculture, and special situations, announced today that its subsidiary American Pacific Resources, Inc. (“APR”) (https://aprgold.com/) has signed a Business Cooperation and Investment Agreement with a Lao company to develop a 67,000-acre gold mining project in the Province of Savannakhet, Laos. The Bank of the Lao PDR has warned members of the public to beware of unauthorised bank accounts after learning that some people have been tricked into making transactions with fake banks. The Lao People’s Democratic Republic successfully completed its largest and longest bond issue, with a 14 billion baht ($419 million) six-tranche offering in the Thai debt capital markets. Laos-based Kolao Group has become the first private company from that country to tap the Thai corporate bond market, raising US$25 million in a private placement today. Laos is one of the fastest growing nations in Asia. Strong exports and a burgeoning service sector helped its economy surge by 6.8% in 2016. The Asian Development Bank predicts even faster GDP growth of more than 7% going forward. PanAust Limited, Phu Bia Mining’s parent company, has reported continued high-performance production outcomes for the Phu Kham Copper-Gold and Ban Houayxai Gold-Silver Operations in its quarterly report for the three months to Jun 30, 2017. The US dollar and Thai baht have continued to appreciate against the Lao kip over recent weeks, sparking concerns that the currency fluctuation could further drive up prices of products sold in Laos. Business loans given to private companies have not increased this year since the government limited finance granted to developers for carrying out infrastructure projects. The choice of arbitration as a dispute resolution mechanism has risen in popularity as a time and cost-effective option to resolve commercial disputes. By including an arbitration clause in contractual arrangements, contracting parties may agree in advance on the seat and rules of arbitration, the size of the arbitration panel and even the rules to …. Investors who have overseas exposure should take advantage of the baht, which is close to this year’s highest level, by swapping the local currency for the US dollar, says Credit Suisse Thailand. Laos’ newly-amended Investment Promotion Law has moved to cut by half the maximum investment period for new concession projects to 50 years, down from the previous maximum period of 99 years. A newly-amended Investment Promotion Law has recently been promulgated, offering a variety of incentives to attract investment in both promoted sectors and hardship areas. Businesses investing and operating in hardship communities (known as Area I),where infrastructure has not yet been developed, will enjoy favourable profit tax exemptions over …. The Labour Law (2013) came into effect on 28 October 2014, repealing and replacing the previous Labour Law (2006) and introducing a number of significant changes relating to the basic rules of employment in Lao PDR. As the Labour Law is now well into its third year in force, we consider one of its more significant yet often overlooked legal requirements for employers in Lao PDR – internal regulations or “work rules” of the workplace for employees.